166.0251 model with 1010 date movement (1978). From 1979 it's called 366.0858 with 1012 movement. Sometimes called "baby ploprof" too. WR 120m. The only diver's Seamaster with an integrated bracelet 1321/295. 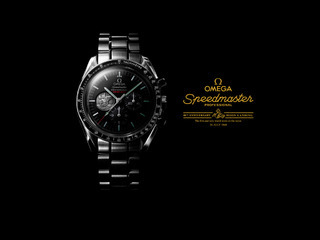 This was not the only Omega dive watch with an integrated bracelet. The Seamaster 120 Plongeur DeLuxe, often referred to as the "Jacques Mayol" Seamaster because it was worn by him on his record-setting freedive of 101m in 1981, had an integrated bracelet. The photos are of my personal watch, with which I dived in locations from Hatteras to the Virgin Islands from 1987 to the early 1990s. It did not have a screw-down crown and had a snap-off caseback, but I never had any problems with its water resistance. Truly impressive catalog you have assembled here ... a lot of work. Thanks for contributing this! copperjohn and hugof3C like this. You're right, but as stated , I take in account mecanical watches only... And Mayol is quartz..
Quite beautiful to see how close the new Seamaster 300 is in design compared to the first Seamaster 300 introduced. Simple and elegant in design. Uwsearch - thank you for this thread. May I ask about the first picture that shows the four SM300 lined up? Where is this from? I'm intrigued by the furthest one on the right - I have what I think is this model... But I had thought the hands were not original. To me they looked like a SM120 hands, and many members over at Omega Forums also thought the same. Your picture seems to confirm the existence of a model with very thin hands though - aside from the watch I own I had never seen this before - do you have any more information? Many thanks. Your picture seems to confirm the existence of a model with very thin hands though - aside from the watch I own I had never seen this before - do you have any more information? Many thanks. The watch you're talking about is a gift from my father in law who's a retired Omega watchmaker. He built it from '70 old stock that he was keeping at home. So, bad new, the hands are from an other seamaster model with 552 caliber (probably hands for 165.022 or 165.023) and seamaster 300 were only produced with arrow hands, baton hands and sword hands. Last edited by Rogi; March 30th, 2015 at 04:09. Brilliant! Very comprehensive and nice pictures.